Dangerous Bald Gangster Man With Beard Holding Gun. Wearing Black.. Stock Photo, Picture And Royalty Free Image. Image 27404445. 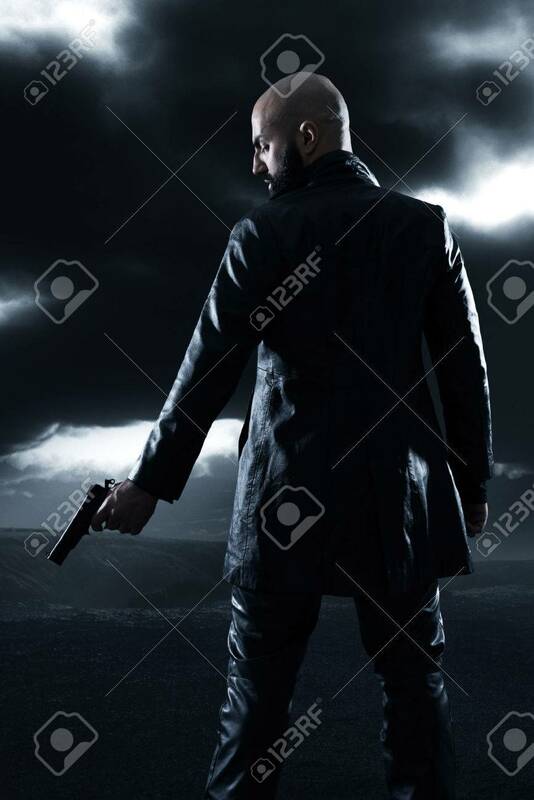 Stock Photo - Dangerous bald gangster man with beard holding gun. Wearing black leather jacket. Dark cloudy sky. Dangerous bald gangster man with beard holding gun. Wearing black leather jacket. Dark cloudy sky.